Since November, Sam and Lucy have been preparing to go from nought to marathon in just 5 months. 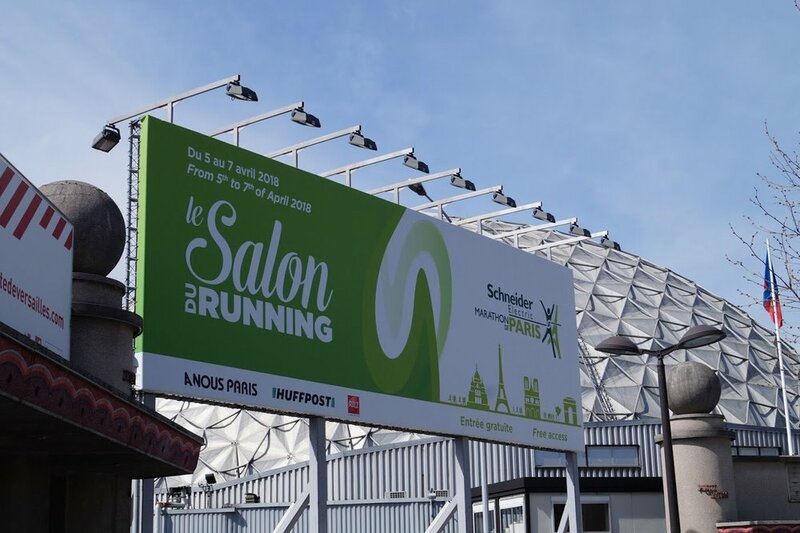 Last weekend, the day came: Paris Marathon, alongside 53,000 runners from all over the world. The time was finally here! After 5 months of training through the Winter, we were on our way to Paris Marathon to bring our #NoughtToMarathon journey to an end. The first thing you'll notice is that the weather in Paris was absolutely glorious - the polar opposite of the conditions we've been training in, in snowy, blustery London throughout the Winter. In fact, on race day the temperature soared to 24°C. This meant that come race day itself, we were in for a tough slog. 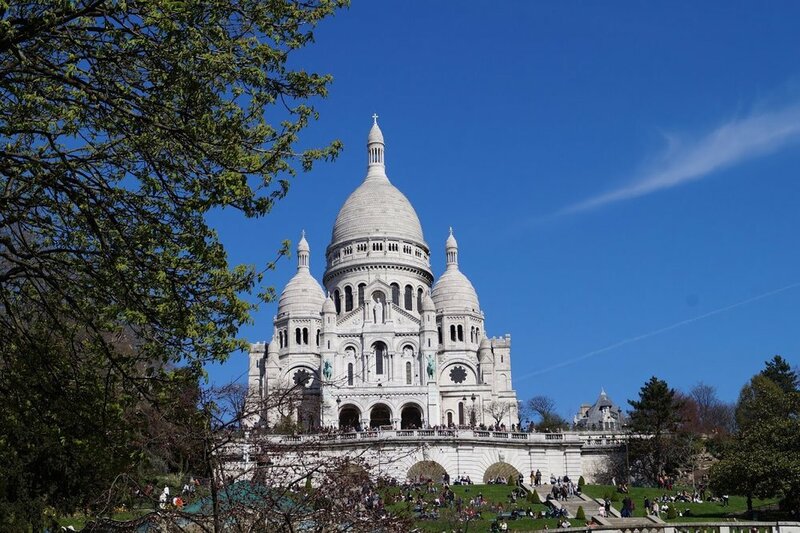 The stunning weather in Paris gave us lots of opportunities to sight-see, including visiting what became one of our favourite spots to chill out ahead of the race: La Basilique du Sacré-Cœur (right). Supported by some of our old university friends, we had a nervous breakfast before heading out to the Champs-Élysées, where the start line sits in the shadow of the magnificent Arc de Triomphe. I think this race really just went on to prove to me that you can train, eat right and do everything to prepare for the challenge but if you get sick, sometimes you have to let your goals go and listen to your body! There's always the next marathon after all.. I'd unfortunately been sick with flu up until race day itself, which made me very nervous that I wouldn't make it. It was hot and slow, but just like every marathon - it was so worth it. The crowds were amazing, so much cheering, and it was a beautiful course around Paris to take it all on. Lessons learned: Sometimes you have to adjust your goals, listen to your body and learn to "enjoy the journey". I know I could've made it in my goal time, but unfortunately, when life gives you flu you've got to slow down and do a 5+ hour marathon instead. If you've been keeping up with the blog over the past few weeks, you'll be aware that I really parted ways with my training plan toward the end, so coming up to race day I was nervous about having only completed a half marathon beforehand, not really built up the long distances. This said, race day itself was a slow, steady (and HOT) affair. I suffered an injury to my knee at around 16km which slowed me right up, but I pushed on to finish at 42.2km back at the Arc de Triomphe. Lessons learned: stick to your plan!!! 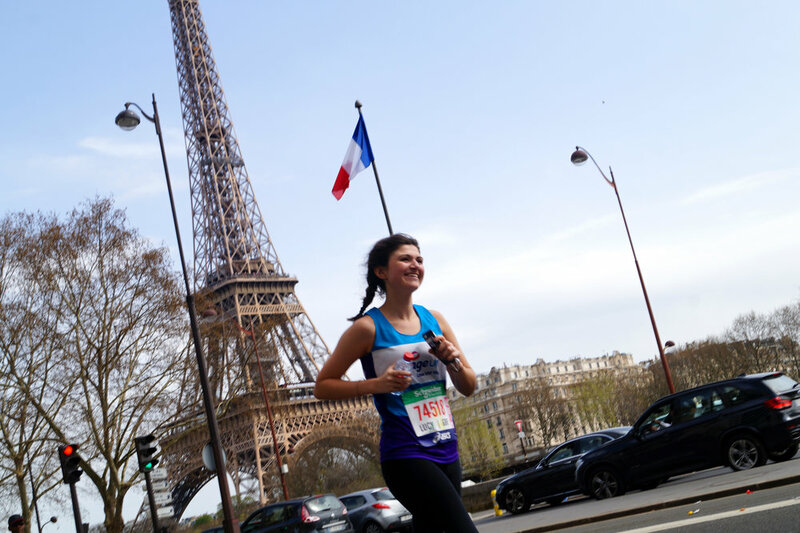 I'm so happy with how Paris went, but I wish I'd stuck to my plan a little more, and now that I've got the running bug I will be doing exactly that for my next and future marathons. Albeit a slow race, I went from nothing to marathon in 5 months, and I now have a shiny Parisian medal to prove it - and that's a fantastic feeling. So there you have it! You can go from nought to marathon in under 5 months. We'll be back running again in the Autumn season (and we'll be out in-country with all you marathon runners throughout October as well), but for now, our #NoughtToMarathon journey is over. Thanks for keeping up! Want to run in 2018? Spaces are still available for our Bilbao and Budapest Marathon challenges. Go here to find out more, and book your space on one of these once-in-a-lifetime challenges.